Tomorrow is “Open That Bottle Night!” Who’s in? The California Wine Club invites you to check out their Super Savers during their Spring Wine Sale. Delicious, handcrafted wines for as low as $9.99! Learn more below or Click to Shop Now! Or, you may well ask, what is it? A wine-geek tradition since 2000, Open That Bottle Night has become an annual observance since Dorothy J. Gaiter and John Brecher, the couple who wrote the Wall Street Journal‘s “Tastings” column from 1998 through 2010, came up with the idea 17 years ago. So, tomorrow, February 25, 2017, let’s keep the tradition alive. Whether it’s the only bottle in the house or one bottle among thousands in your fancy wine cellar, if you have one, pick out a special wine that you have long meant to open but haven’t yet gotten around to. Open that wine! And enjoy it for what it is, not what it might someday be or might once have been. 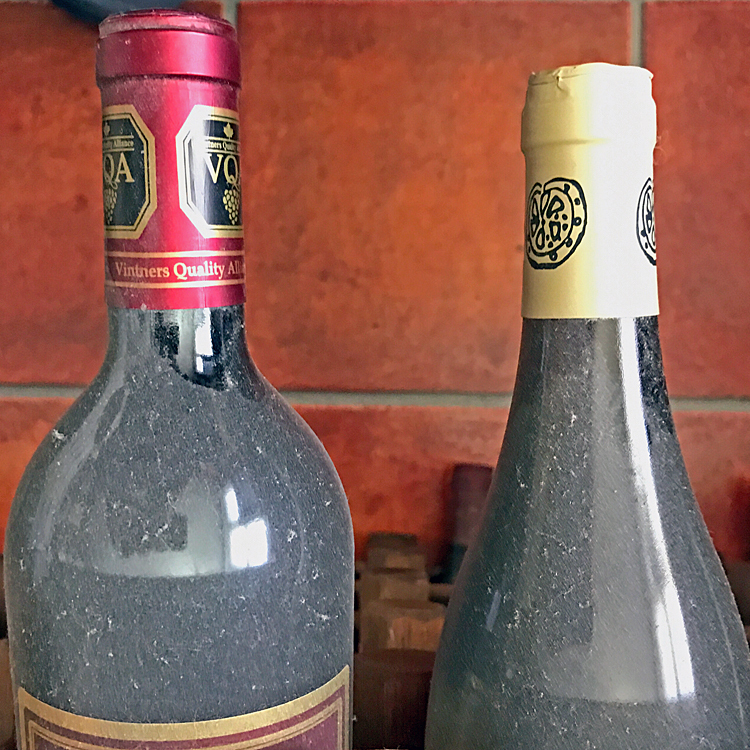 Which dusty bottle shall I open? I’m looking at a couple of dusty old bottles here, and am torn between celebrating the day with a family favorite, a 2011 “le Tesniere” Touraine Pineau d’Aunis from Puzelat-Bonhomme, or a lonely bottle brought back from a long-ago trip to Canada and put away, a 2001 Paul Bosc Estate Vineyard “Equuleus” Bordeaux blend from Chateau des Charmes in Ontario’s Niagara Peninsula. Which would you choose? What will you pick out for your Open That Bottle Night? Do it just for your own enjoyment, or share your tasting report with friends on social media, or, if you like, our online Wine Lovers Discussion Group. Remember, we’re enjoying tasting and talking about all things Italian wine in Wine Focus, our popular monthly wine forum discussion topic, this month. 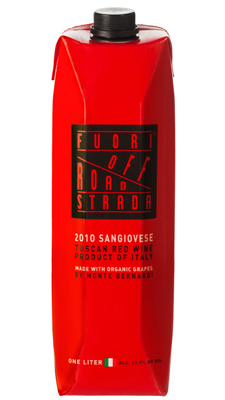 * Montebernardi 2014 “Fuoristrada Off Road” Rosso Toscano Sangiovese ($14.99 for 1 liter, $11.90 local sale price), a tasty Tuscan red that may be the best wine-in-a-box I have ever tasted. 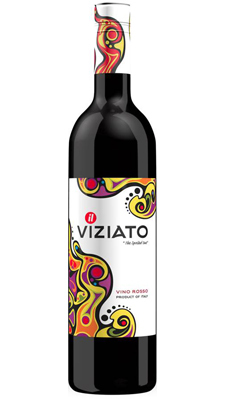 * Il Viziato “The Spoiled One” Vino Rosso ($9.99), an unusual blend of grapes and regions: 80 percent Tuscan Sangiovese and 20 percent Sicilian Nero d’Avola. Join us in the conversation! Click February Wine Focus: Italy, and bring your tasting notes, comments and questions about any and all Italian wines. 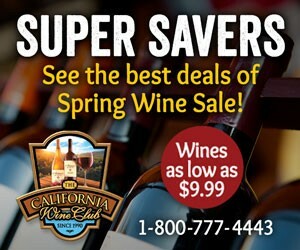 The California Wine Club invites you to check out their Super Savers during their Spring Wine Sale. Delicious, handcrafted wines for as low as $9.99? They have them. Highly rated gems at deep, deep discounts? Those are available too, but in very small quantities, so don’t wait! Half, full and/or mixed cases all ship via ground for $1. Spring Wine Sale ends on March 31, 2017. It took a special $11.90 markdown sale for my local price to match the average U.S. retail on Wine-Searcher.com, but for a full liter, this wine would still be a fine value in the middle to upper teens.